Margo Kelly: Do RULES really exist? In honor of a great blogfest ( CLICK HERE to check it out ) ... I'm re-posting a little-rant-item that originally saw the light of day over eighteen months ago on my blog. How do you feel about "being" verbs? Hmm? I wonder if I've grown as a writer since originally posting this ... LOL. So, after finding this list, I chose one item (number six on the list) and went through my first manuscript and worked to correct that "mistake." The website explains, "Once your eye is attuned to the frequent use of the “to be” words – “am,” “is,” “are,” “was,” “were,” “be,” “being,” “been” and others – you’ll be appalled at how quickly they flatten prose and slow your pace to a crawl. The “to be” words represent the existence of things – “I am here. You are there.”"
Okay fine. I improved my manuscript. I read a lot of books. And, at the time I was working on these revisions, I was reading the second Frankenstein book in Dean Koontz's series. So, I put his book to the test. I was shocked to read five pages before he used a single "being" verb. Shocked. But then, reading the third book in Koontz's series, my head exploded. There were "being" verbs in every sentence (exaggeration, obviously). I thought, what the heck? But, then I decided, well ... it is Dean Koontz, he can do whatever he wants. He's not trying to get an agent and publish a debut novel. BUT THEN, I'm reading Beautiful Creatures by Garcia and Stohl which is a debut novel. There are five being verbs on the first page and twenty-one in the first chapter (not even two and a half pages long). It's a New York Times bestseller and an international bestseller. Hmm. So, not only did they use being verbs, but they also got an agent, got a publisher, and are selling a TON of books. Great. Maybe I should go back through my manuscript and put all of the being verbs back in it. Who is to say what the "rules" really are in writing a book? What's the trick? Is it just about story concept? I don't think so. I think it has to be a great story concept, and I think the writing needs to be above par. What "rules" do you love/hate? Do you even believe in RULES!? I try not to concentrate on the rules so much anymore. Different books point you in all kinds of directions that eventually you just have to throw up your hands and let go. Now I try to follow a few key rules (show don't tell and get rid of adverbs, the big ones) and let the others go. I was told most novels, especially debut novels, are between 60,000-90,000 words. My debut novel is 200,000 words. Here's the thing though, it has six main characters and alternates between all their various points of view...so I'm not living by the rules either. Chantal - that's the truth! 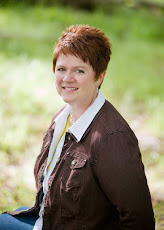 Laura - my debut novel was originally over 100,000 words. It's now trimmed to 78000. I also use six points of view and I'm considering trying a rewrite with less points of view. But I kinda like it the way it is. me too! I have to do a full sweep of the word "was" But my eye is getting better at catching myself on draft two. It does make a difference. I think it takes a majorly awesome concept and a page-turning story. Rules will be cast aside for that. Margo, this is an amazing repost. I've been thinking about this a lot lately. I'm so conscious of adverbs and dialogue tags other than "said" in my writing, but I see them used liberally in bestsellers and other well-liked books. I think in the end that it's best to ignore rules and just write, because that's the most genuine way to put your words on paper. The editing is only secondary. The Girl With The Dragon Tattoo had tons of those verbs, too, and boy wouldn't I like sales like that! Just hopped over for Deja Vu fest and totally agree w/you. I hate the idea that we have to cut ALL adverbs, state-of-being verbs and other things that aren't TRENDY at the time. I love reading the classics, and they certainly break all those rules, yet are intense and valuable reads nonetheless. To the extent we can (and still get published! ), I think writers have to make their own rules. Hope you can check out my blog! (#33). My writing is very basic yet my firt book sold very well. I think I follow my own rules in how I write. Thank you for your visit and lovely comment much appreciated. Nice to meet you, Margo (I'm 158). I think concept and pacing are higher priority than sentence structure. So it's not that verbs don't matter, but that getting too hung up on that technicality can hamstring you creatively. By all means make your verbs strong in late drafts--just don't make it the be-all, end-all. Wow. Proof that the rules are broken all the time. When well used, "to be" variations blend in and work just fine. Maybe a more appropriate rule is (oh look, an "is") "be aware when you're using to-be verbs and use them well"
Congrats on getting an agent (saw that first), love your post for the blogfest and totally agree that rules can be random. Oh my gosh, this is SUCH a pet peeve of mine! A few writers whose skills have not yet been polished into their final gem state query novels and get feedback from agents or editors on what went wrong. Said agents and editors focus on a few points of the writer's style which were not successfully employed. These points get translated as RULES for EVERYONE. They were never meant to be rules. They were well-meant suggestions on how some writers could improve their personal style. Phew, jumping off soap box now. Yes, agree. It gets a tad depressing if you start adhering to rules that every book you read breaks, even the dreaded adverbs! I always think the best-selling authors must be laughing up their sleeves at the intense debut novelists sweating every 'ing' verb and 'ly' word while they do it with impunction. One of the latest books I read changed POV twice in one sentence while I'm told to only change POV every chapter at the most! Hmm. Maybe it was third person omnisicient! Someone once told me that in writing, you learn all the rules. Once you become a good writer, you're allowed to break them all. Thanks so much for joining the Blogfest! The thought of all those rules beforehand is enough to scare any novice writer!! They aren't really rules, only guidelines. And if your story is compelling enough, all those to be verbs don't mean a thing. It's always story over writing. Thanks for the re-post, and for the link to the top 10 mistakes. I agree with Nancy: these are more guidelines than rules. Follow them when you can, but when your sentence goes against these guidelines but feels "right", then by all means forget about it! 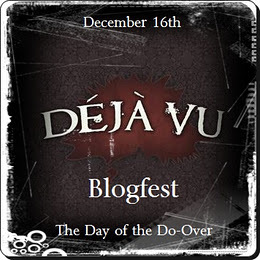 Glad I re-discovered your blog through the Deja Vu Blogfest! This was a really interesting post - the trouble is the so-called 'rules' change and contradict each other. I remember reading that 'said' is a 'horrible little word' and should be avoided at all costs. So in my early writing, my characters exclaimed, snorted, shouted, grinned, responded, etc. Now we're told 'said' is actually 'invisible' and any other word for 'said' is intrusive! I agree with many others here that ultimately it's a case of obeying the rules if they make sense but ultimately doing what you feel works best for your story. Thanks for the links to the top ten mistakes by the way, off to check them out! The rules regarding backstory have always irritated me. Yes, double standards do exist! I think the rules exist for a reason, but I think they're more appropriately thought of as guidelines. They're there because it's so easy to abuse adverbs and "to be" verbs, to let backstory kill your pacing, etc. However, there are always famous examples of rule-breakers, so we know it CAN be done. Great re-post, Margo, lovely to meet you, and HUGE CONGRATS ON SIGNING WITH AN AGENT!!!!! I agree with many of the comments here. The "rules" are there for a reason, but they are best treated as guidelines that will help steer you in a good direction. You should know why the rules exist, so you can choose wisely when to break them. In the end, though, good writing comes in many forms and may follow or break the rules. The only solid rule I've ever come across is "don't bore your reader." Seriously, if the best way to write the dang the scene means I have more than two per page, I'm going to do it. Ugh! I hate all the rules except the one Botanist quoted. If I bore a reader, I've failed. I'm baffled by the strong opinion that you must not edit while creating a draft. I'm breaking that one and it's working for me. totally agree w/frustration at "rules"
i think overall flow '& voice are the overriding factors. great replay & congrats on beating rules & getting an agent! I don't think Ive read a bestseller that DIDN'T break the rules. I think we have to know the rules and then know how to break them!! Hi Margo, nice to meet you. FIRST - don't you ever stop dancing about that agent. You go girl, that is awesome. SECOND - Rules. Like the 'code' they are more like guidelines anyway and made to be broken/rewritten/distorted. Sorry. I'm a pirate at heart. Who writes these rules anyway? My fourth grade English teacher or the current best selling novelist. Isn't it more important who breaks these rules. The writer with an awesome voice and a well crafted story twining around an incredibly intricate plot. Who know that just might be you or hopefully me. The word "rules" automatically makes me bristle! I don't pay attention to any of them. I see them more as guidelines. And I've found that I don't really break many even when I'm not paying attention anyway. It is odd how many books out there didn't follow "the rules." I'm not really sure who created them or why they even exist. Congrats on your agent!!!! Oh my gosh, now I am going to notice this in every book I read! LOL. When I took Creative Writing in college, we had to look for the same thing in our own writing and change it. We were taught to highlight every 'was' and so on. I still do that when I revise and it's draining! Great post and it's nice to meet you! This is an interesting re-post, because yes, writing should be all nice & pretty before sending it on, BUT an agent/publisher certainly isn't going to reject a fantastic story for things that can easily be cleaned up in editing.